The manga isn't THAT good and it's short. How are they going to adapt this? Love the manga hopefully the anime does it justice. hmm well the manga is still being released so it will be interesting to see how they are going to do this. The character design looks... weird, to say the least. I personally think the character designs are an improvement. 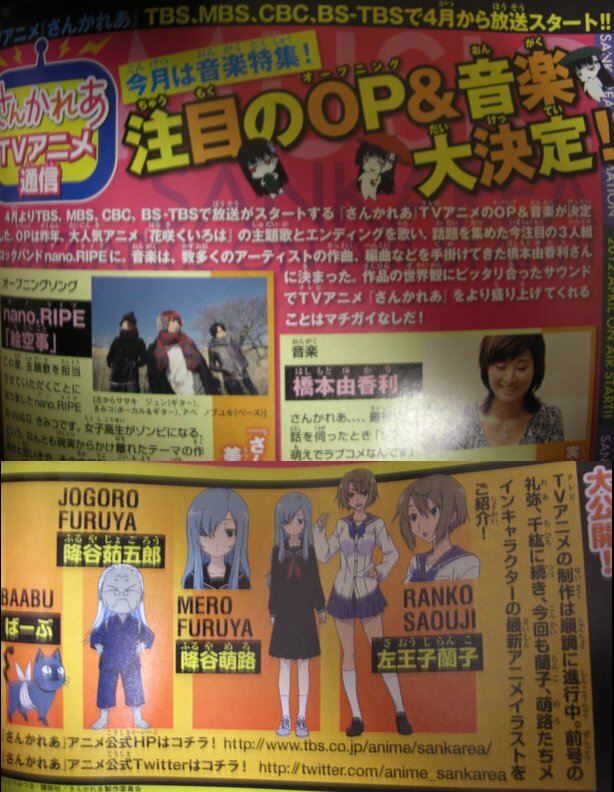 Starts airing from the 4-5 April. Anyway there is more than enough material to adapt 12-13 episodes. I was stupid there, actually, I thought this was an weekly manga and I had just checked the number of chapters. Last edited by leokiko; 2012-03-09 at 16:26. I'm gonna HHNGGHHH to death from watching this. It's actually Chihiro and not Chiharu. I love the manga, so to me this is something to look forward to for the Spring season. I just hope that the adaptation will be a decent one at least. After seeing the PV, I admit that it will take me a bit of getting used to hearing Ryohei Kimura as Chihiro. Not to say that I didn't like his voice, but it was not quite what I expected. I agree. I was thinking of something more boyish and young. Something along those lines was what I expected for Chihiro's voice. It's reassuring to know that I wasn't the only one who thought that way. I'm sure there will be service. What it will be, we'll see. I wonder how much fanservice the anime will show. That booty scene would be nice, too, but totally pales in comparison. A new commercial is up for this.